A lovely couple from Brighton fell in love playing beach volleyball. 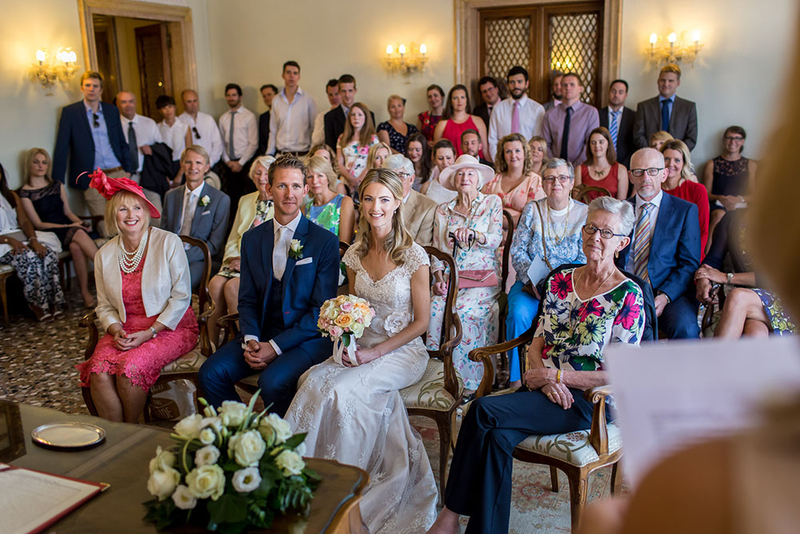 They had a civil ceremony at Palazzo Cavalli with 60 friends and family. Guests were then treated to a boat trip around the lagoon. 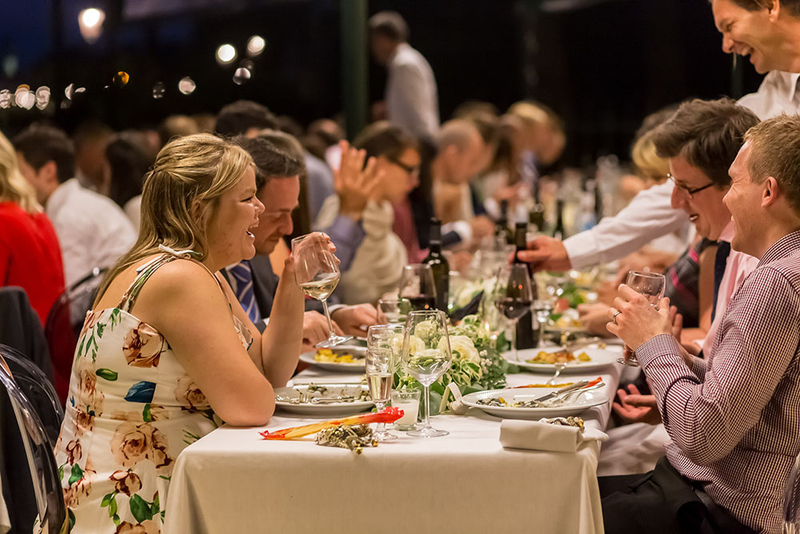 The reception was held at Venue 27 on the terrace overlooking San Giorgio. Guests danced the night away until midnight. 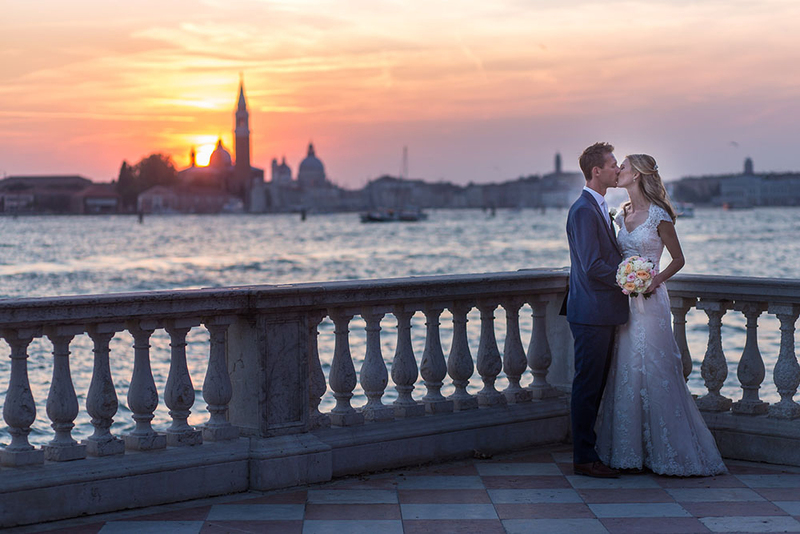 "We had the most perfect, magical wedding weekend in Venice and we couldn't have done it without Amber. She was so calm and patient and really took the time to understand who we were and how we imagined our wedding to be, and then made it happen! 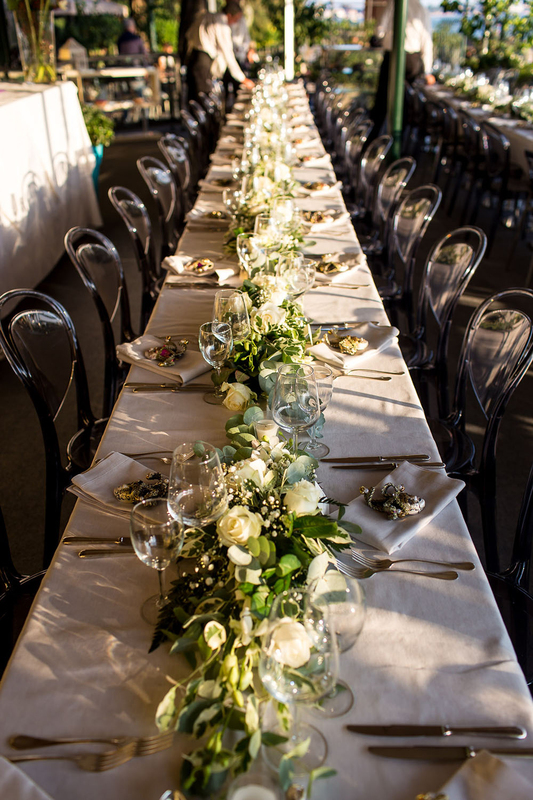 She made the planning stages enjoyable and stress free, not easy to do when planning a wedding from another country. She was always at the end of an email if we had questions and nothing ever seemed to be too much trouble. 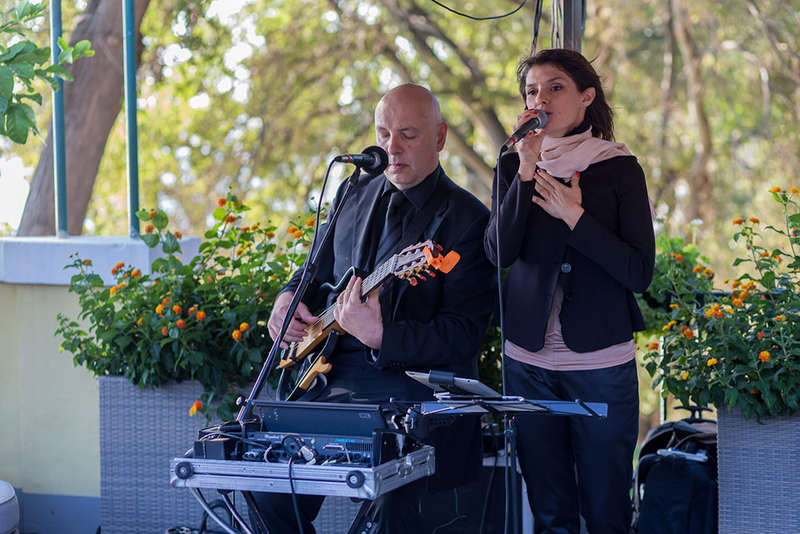 It was great having her there on the day ensuring it went smoothly and to time and that all the guests were happy. All her contacts and suppliers were lovely people and very professional. 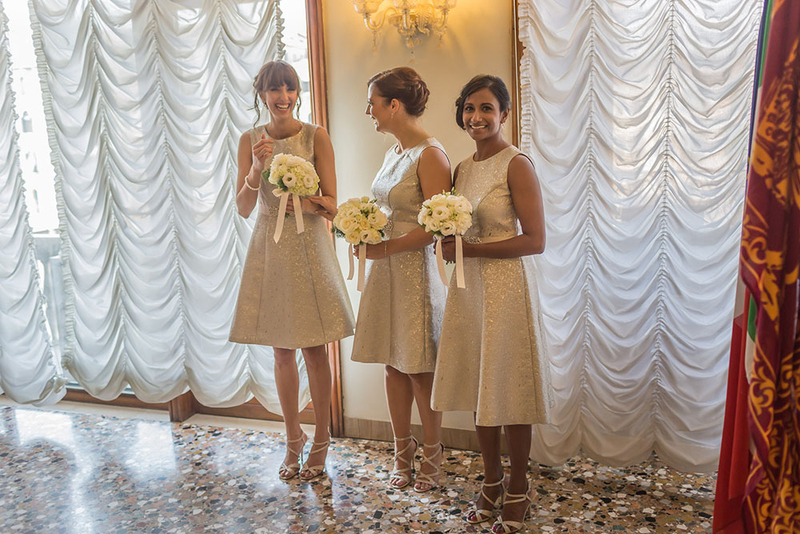 We really couldn't ask for anything more from our wedding planner and we would wholeheartedly recommend Amber at Angel Lion if you are planning a wedding in Venice."